The U.S. Department of State’s Bureau of Educational and Cultural Affairs recently named the University one of the leading producers of Fulbright scholars. The list, released Feb. 20, includes the U.S. colleges and universities whose alumni have entered the Fulbright program in the 2017-2018 academic year. 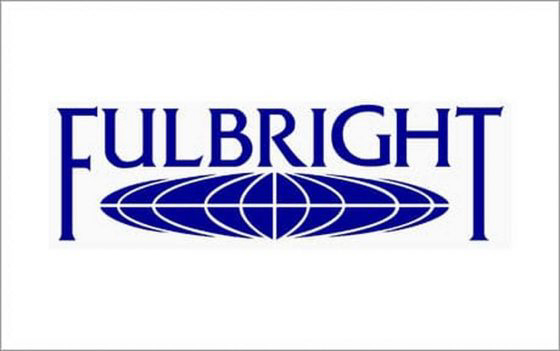 The Fulbright Program is the U.S. government’s leading international educational exchange program. “Since its inception in 1946, the Fulbright Program has provided more than 380,000 participants with the opportunity to study, teach and conduct research, exchange ideas and contribute to finding solutions to shared international concerns,” the Fulbright Program website states. Chosen for their academic achievements and leadership potential, over 1,900 U.S. students, artists, and early career professionals in more than 100 different fields of study receive Fulbright Student Program grants annually. Over 800 recent graduates study, teach English, or conduct research overseas annually. Six alumni and one graduate student were selected for Fulbright awards for the 2016-2017 academic year. Those accepted include graduate music student Warren Enström, Jennifer Cascino ’17, Kate Cullen ’16, Sophie Zinser ’16, Claire Brady ’15, Shourya Sen ’15, and Rob Roth ’14. Cullen, now working in Chile, researches innovative ways to monitor glacial retreat and effective climate change adaptation strategies. Focusing on Mocho Glacier in the Chilean Lake District, Cullen partners with local experts in Santiago and Valdivia to evaluate local vulnerability and hazards from rapid glacier melts. Enström, a graduate student working at the University of Gothenburg, develops software-based virtual musical agents that listen to their environments and generate music in response to their immediate surroundings. Cascino investigates the genetic and molecular basis of systemic inflammation that occurs in specific forms of cancer at the Centro Nacional de Investigaciones Oncológicas (CNIO) in Madrid. Cascino hopes to aid the characterization of the fundamental mechanism behind this form of metabolic dysfunction, which can lead to lethargy and death. Brady analyzes the effects of water scarcity on female Syrian refugees in Jordan, the world’s second most water-scarce country (which also hosts the largest number of refugees). Sen currently works in Laos as a Fulbright English Teaching Assistant. He wants to become a professor eventually and is now trying to gain experience teaching university-level students. Sen is passionate about learning new languages, traveling, and forming relationships with people from diverse backgrounds. Sophie Zinser, stationed in Jordan, works under the directors of Jesuit Refugee Services’s Jordan Office and the Center for Women’s Studies at the University of Jordan. Currently, Zinser analyzes community-based nongovernmental programs focused on arts as a community builder and on young women beneficiaries. Zinser aims to derive best practices to share with Jordanian NGOs. Rob Roth works as a teaching assistant in Colombia. He works with Universidad Nacional students trying to acquire English proficiency. Interested students can apply to the Fulbright Program through the Fries Center for Global Studies. I’m confused. Are the alum mentioned in the article this year’s winners or last year’s? Who are the winners for the academic year 2017-2018?